HomeBlogWhy do we need insurance? Own a home. Home Owner’s Insurance is especially useful if you’re applying for a mortgage as they’ll want to know your home is protected. It can also help protect you from weather related damages to the home or even theft of personal property. Drive a vehicle. Vehicle accidents can be extremely expensive when you think about health care costs, legal costs and vehicle repair costs. Think of Auto Insurance as a savings account or investment for your vehicle. Maintain your current standard of living. This is where life insurance or disability insurance in case of accident prepare your in case of a critical illness or accident. With this type of insurance you can be sure that your family will still be well taken care of in the case of injury, illness or death. Cover health care costs. Many companies offer their employees extended health care which can cover things like prescription drugs, dental care, vision care and other health-related items. Run a small business or family farm. 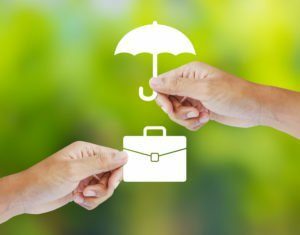 These types of insurance help to manage the risks of ownership of a business in case something happens so that as an owner, you don’t become liable to pay off a debt or legal bill out of your own pocket. Take vacations. There are a few different kinds of insurance available for travel, which include covering flight cancellations and other potential issues, and also cover any medical emergencies in other countries. It’s always best to evaluate your own personal circumstance in each case in order to identify which type of insurance is best for you and your family. For example, there’s no point getting travel health insurance coverage if you don’t travel out of country. Knowing your needs can help to narrow your options to ensure you are getting a coverage which will offer the best value for your needs so that you’re not spending an unnecessarily high premium for something you may never use. The real benefit of insurance is to reduce financial risk and give you the support when the unexpected happens. All this being said, many people still believe that insurance is a scam. There’s nothing wrong with having that point of view; it’s a natural way to think when you’re paying for something which you may never use. This is where it’s important to find value in the type of insurance you’re paying for. Insurance should serve a specific purpose. You never know when someone may bump into your vehicle in a parking lot or you may get injured while at work. And there are so many different variables involved when you own a home, as your homes ages, things may start to break down. That $500 per year you pay for home insurance that you haven’t used for the past 10 years may seem all for nothing until a tree falls over on your property completely destroying your garage, then that $5000 you had invested in home insurance becomes a life saver for rebuilding your garage. What it all boils down to is peace of mind and knowing that you and your family will be in good hands in the case of something happening. Knowing your specific needs in order to obtain the best value in your insurance coverage will safeguard you from unnecessary costs.